Category: Mac, NDS, PC, PS3, XBOX 360. 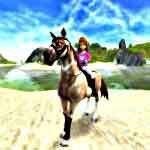 Tags: Care for horse, Feed your horse, Fun, Grooming, Horse farm, Riding, Sim, Take care of horses, Train horse. If you are one of those who play Sims then you know how fun it is to create your own character and your own life. Now imagine that plus the creation of your pets. If you aren’t familiarized with this game, I advise you to try it. The Sims 3 games work with expansion packs, and you need the first one to try all the other packs. 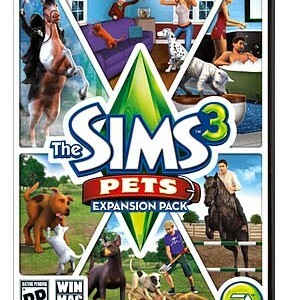 So if you still don’t have it, get the first Sims 3 and try it and then buy the Pets expansion. I promise you won’t get bored, because you have endless options. You can create a virtual life for your character and customize it as much as you want, including choosing your job, your house, and your car and with this expansion pack, your pets. Then, you get to live the life of your character and of your pet. One of the most interesting things of this pack is that you can have horses. You can create your own horse when you are creating your character and you can customize it as much as you like. 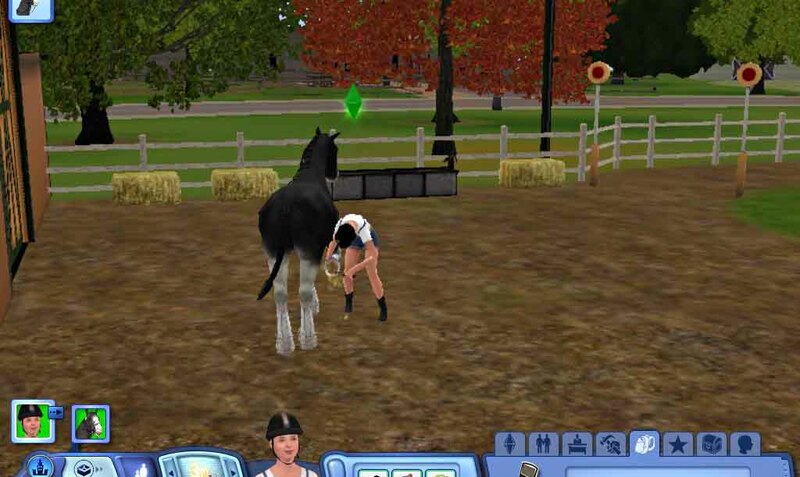 When you choose a house for your Sim, your horse will move with you and from there on you’ll have to take care of its needs in order for it to stay happy. The needs include hunger, energy, hygiene and exercise. 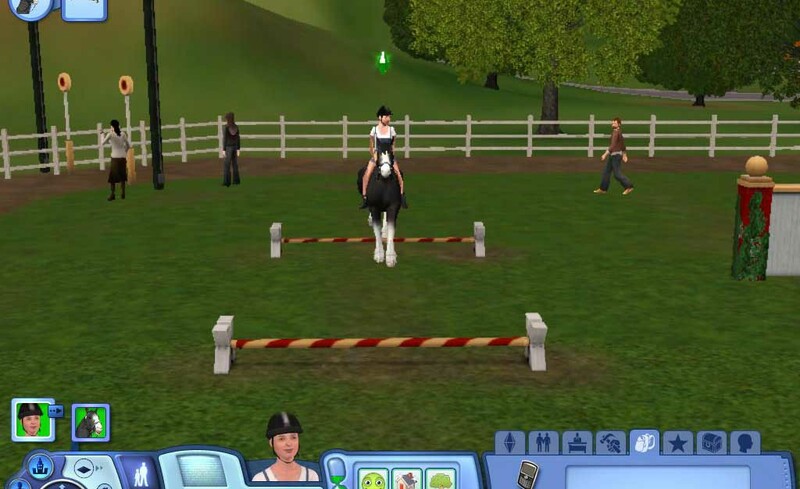 In order to mount the horses and do all kind of thing with them, your Sim needs training. You need to teach him how to mount the horse, how to ride in it and all of that. It’s just like real life! When you manage to do all this, you can take long walks with your equestrian buddy and train it for competitions around town. Meanwhile you and your horse will be able to make friends in the neighborhood and explore your city. To help you to connect with your horse, there are available a lot of interactions between the two of you that change according the mood or the situation. You have a lot to explore and I’m sure that a lot of fun hours are waiting for you. Personally I love to build and decorate my house and the stables, and 50% of my game time is spent doing this, but I’m sure you’ll find something in the game that will make you fall in love with it even if it’s just training your horse and take it to the competitions. 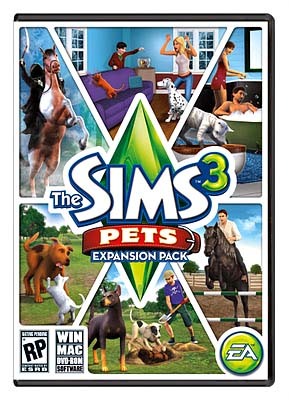 Despite being a little expensive, because you actually need two games to play this expansion, Sims 3 Pets has great graphics that you can change and adapt to your computer. Alongside with that, you can literally have a second life and live it the way you always dreamed! 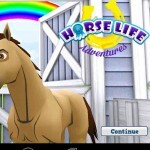 The best horse game to date and includes other pets as well! Breeding, competing, and building your own stables plus an online community for horse enthusiasts. Con: Make sure to use a FPS limiter or this game will eventually fry your graphics card. One of the best games I have ever played. 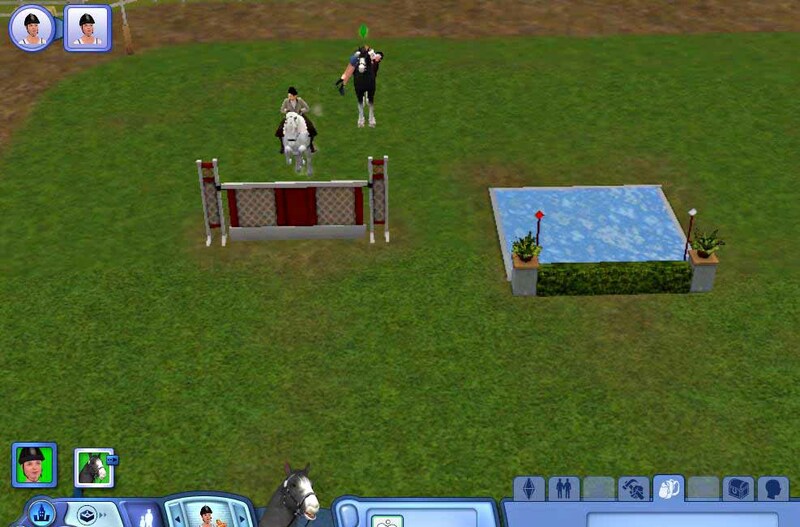 The graphics are very good, and instead of only doing the same things over and over again like in many games, the Sims 3 Plus Pets allows you to do an almost endless amount of things with your horse(s)! Yes, it may not have horses in the 360 but it still should be up on this list! I have a Mac and I almost bought it for the PC off of steam for $30 dollars. Since I don’t have PC this makes me able to play it without having to go over my friend’s house to play it! This is also $10 cheaper than the Steam version. So overall its just an amazing game! BEST GAME EVER! I think that this is one of the most realistic, fun and playful game out there! 🙂 It has endless opportunities, and gameplay options! I definitely recommend! 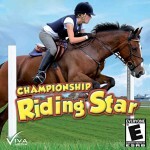 THERE ARE NO HORSES IN THE XBOX 360 VERSION OF THE GAME. The commercial and everyone I had spoken to all lied to me. Horses were the only reason I spent $40+ on the game and now I’m going to have to buy it AGAIN for the PC just for that feature. I LOVE THE SIMS 3 PETS! BEST GAME EVER! EASY IN SOME CASES CHALENGING IN OTHERS!